The first four-figure Galaxy phone has arrived. The worst kept smartphone secret of the year has finally and mercifully been unveiled, and to no one's surprise... there aren't many surprises. As expected, the Galaxy Note 9 is basically a spec-sheet refresh of the Note 8 that ticks off the obligatory boxes, borrows a few of the S9+'s tricks, and brings a brand new S Pen to the party. Oh, and it starts at $1,000. 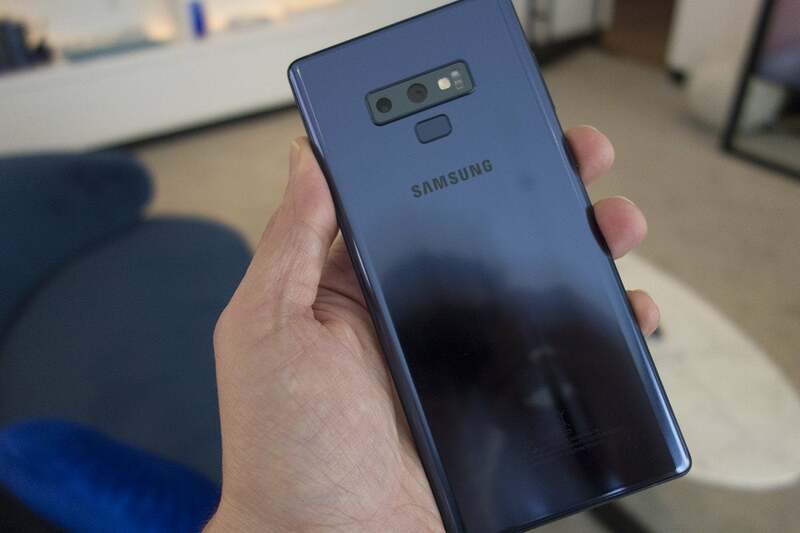 While ever-so-slightly wider than the Note 8, the phone retains its unique boxy frame and dedicated Bixby button, as well as the headphone jack. Otherwise, it's basically a 2018 premium Android phone with two main advantages: the boosted storage and battery. The battery's bound to get most of the attention, what with the not-so-recent history of the exploding Note 7 recall. Since then, however, Samsung has implemented strenuous manufacturing safeguard for batteries, so all should be well. The screen on the Galaxy Note 9 is just slightly bigger than the Note 8's. But even beyond what should be impressive battery life, the Note 9's biggest upgrade is its S Pen. 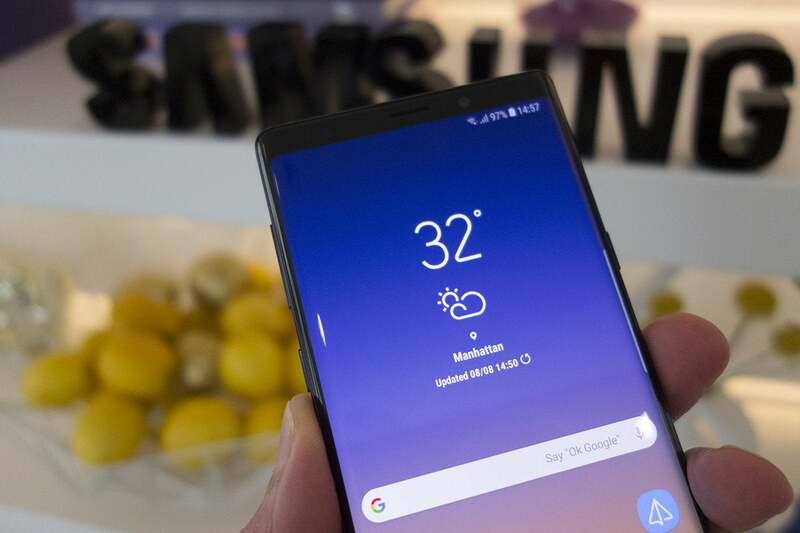 Already the main differentiator between it and the Galaxy S9+, Samsung has supercharged its stylus with Bluetooth Low Energy connectivity for the first time, so it can do a whole lot more than draw and take notes. In fact, you don't even need to touch the S Pen to your phone to use it anymore. With a Bluetooth connection, you're able to press the S Pen's button to control apps, presentations, and even the camera from a short distance. Like the Apple Pencil, Samsung says its new S Pen can be used for 30 minutes after less than a minute of charging (which automatically occurs when you pop it back into its holster). Remote control isn't the only thing new about the camera, however. While the specs are exactly the same as the S9+, Samsung has pumped its processing engine full of AI smarts loaded with 20 preset scenes, which, Samsung says, "make it nearly impossible to take a bad shot." Like the Huawei Mate 10 Pro and the LG's ThinQ phones, the Note 9 will both identify what you're shooting and adjust its settings to make sure your pictures always look their best. The camera will also alert you to any imperfections in your shot, like if it's too blurry or if someone blinked at the wrong time. The Galaxy Note 9 has the same camera as the S9+. If you want to expand your Note 9 to a larger screen, you no longer need to purchase a $100 dock to do it. Any compatible USB-C-to-HDMI cable will do the trick thanks to the evolution of DeX we saw on the Galaxy Tab S4. And when connected to an external monitor you can also use your Note as a trackpad or writing tablet. Along with productivity, Samsung also wants the Note 9 to be the phone of choice for gamers. To that end, it's built a thermal spreader heat sink that's three times larger than in the S9+ to cool down serious graphics loads, delivering 20 percent better cooling performance. 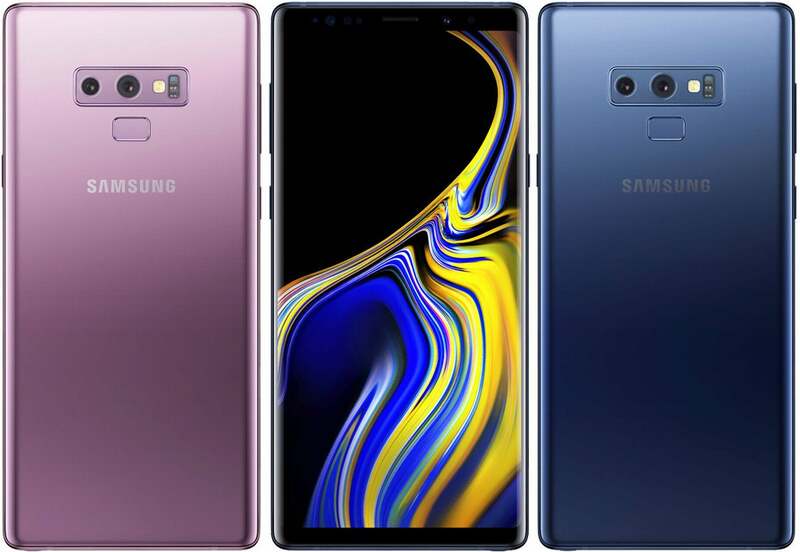 The Note 9 will come in two colors, lilac purple and ocean blue, and cost $1,000 for 128GB of storage and $1,250 for 512GB of storage. Pre-orders begin August 10 for delivery on August 24.